Metal Finish vs. 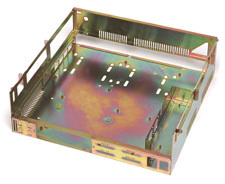 Surface Finish | Vista Industrial Products, Inc.
Have you ever had metal parts fabricated and you indicated no finish, and when you received the parts, the surface finish was not what you expected? Maybe you were hoping for a mill finish, but the parts were sanded to a uniform finish? Or maybe you expected a smooth mill finish, but there were scratches and gouges from the fabrication process? In the metal fabrication industry, there can be confusion and a misunderstanding when it comes to metal finishing and surface finish, which are not the same thing. They are actually completely different from each other and one does not indicate the other. To help clarify the distinction between the two, we will identify the differences between the two from a manufacturer’s point of view. For metal finishing, it is very important to note on a drawing what the manufacturer and part number is for the color or the specification call out you require. Using generalizations like “paint blue gloss” can be open for interpretation, and can result in the wrong finish. In addition, when using a plating or anodize, it too is important to note the exact spec (type and class) the parts need to be plated to in order to get exactly what you want. On a manufacturing drawing, it is extremely critical to note the surface finish, if you require one. Reason being, there are many factors that will contribute to the overall surface finish. For instance, there are many manufacturing processes that will influence the surface including shearing the metal, metal forming marks, and overall fabrication hand holding. All these factors can add abrasions, scratches, gouges, dents, and other marks to the overall surface finish.Therefore, when achieving an ideal finish, whether there is metal finishing as the end process or not, it is important to be aware of the surface finish from standard fabrication procedures. Although it is a manufacturing standard to remove any major surface flaws, if there is no specification of what the surface should be, many times there will be minor scratches, dents, and flaws, along with any grinding marks to remove major scratching. This can easily become an issue when you say your part does not require a finish (meaning metal finish, not surface finish), and the parts you get have been linegrained or have scratches. 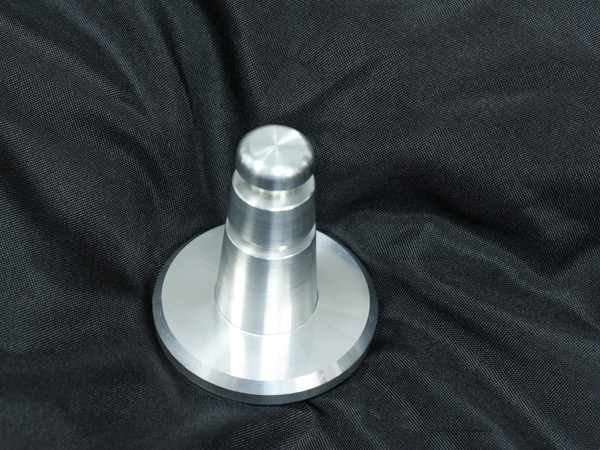 As a result, it is important to keep in mind that the cost of manufacturing a surface increases as the surface finish improves. This is because there will be additional procedures in place during the manufacturing process to help maintain the surface finish. For instance, there can be additional hand-holding like placing paper in between parts to prevent rubbing, or using premium quality inserts and tooling for a mill to achieve a desired surface finish. There could also be secondary operations to clean up the finish, which all incur costs. Therefore it is important to discuss with your supplier, what their processes are and their cost for achieving the desired surface finish prior to fabrication. As you can see there is a huge difference between the two types of finishes. In fact, most of the time metal will require a surface finish prior to metal finishing in order to allow the paint, powder coat, etc. to properly adhere. The most important aspect of this article to take away from is to be aware of the difference between metal finishing and surface finish and to also properly document the finish you want with details on the manufacturing drawing. Remember, the drawing is a set of instructions for the manufacturer. If something is missing, the manufacturer will use standard manufacturing procedures. 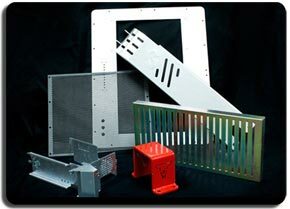 Here at Vista Industrial Products, Inc., we specialize in metal fabrication and have a great deal of experience in metal finishing and surface finish. When customers come to us to fabricate parts, we always ask numerous questions about the finish, especially if it is not called out on the drawing, to ensure you are getting parts that you expect. If you have an input or questions regarding this topic, feel free to comment below! Thank you for following along. This entry was posted in Engineering, Metal Finish, MFG and tagged grinding, linegain, metal finish, metal finish vs. surface finish, mill finish, paint, plating, polish, powder coat, surface finish by Britney Blue (Payne). Bookmark the permalink. Its helpful blog and thanks for telling the difference between metal finish and surface finish. You did great job.